The Bridgewater Public Library will host a musical performance: “Just Wait a Minute” on Saturday, October 18th at 7:00 p.m. The public is invited to join us as we celebrate the 40th anniversary of the Friends of the Bridgewater Public Library with an evening of recorder music and light refreshments. 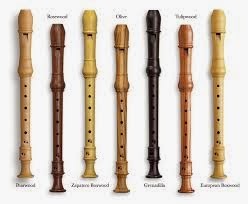 Those who associate the recorder only with the soprano size used in school music classes may be surprised to hear the tiny sopranino, the great bass (taller than any of us), and all sizes in between. Even the dreaded crumhorn, not a recorder at all but happy to hang out with recorders, will have its moments. Selections will vary from renaissance dance music to Bach and Handel to English country dance tunes (sometimes with a washtub bass) to “golden oldies”. The Capriol Consort, named for a character in a 16th century dance manual, has been in existence since the early ‘90’s. The group meets weekly, exploring music of many centuries and styles, and has performed at churches, schools, and King Richard’s Faire. Members of the group include Marcia Anderson (director), Judy Cicierega, Deb Giokas, Denise Haskins, Polly Jacobson, and Charlene Setzer. Triple time (Marcia Anderson, John Dye, and Patty Simon) dates from 2006 when a group of friends met to explore the musical repertory of many centuries playable on recorders. They have played at Unitarian Universalist churches in Bridgewater, Middleboro, and Plymouth and at the Yarmouth Friends Meetinghouse, Bridgewater State University, and played and taught English Country Dancing for a conference of herbalists at Borderlands State Park. Please join us at the Bridgewater Public Library on October 18th for some good music and refreshments.